I do get quite excited when I find a new cheese to taste and I must say I am extremely impressed with this offering from Tasmania. Grandvewe Cheese is located in the picturesque Huon Valley overlooking Entrecasteaux Channel and Bruny Island and was established in 2001. They are a family run business that specialise in Sheep's milk cheese sourced from their herd of East Friesland (Friesian) Sheep. They are also organically certified and have a range of Organic Wines to complement their cheese. 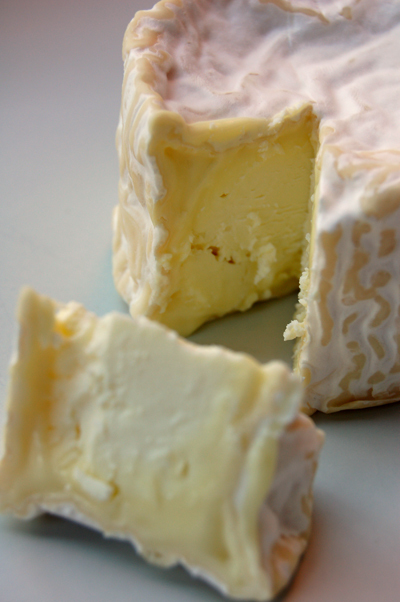 Before you even remove it from it's wrapper those wonderful mushroom aromas are coming through - this is the type of cheese I just love to breath in deeply. 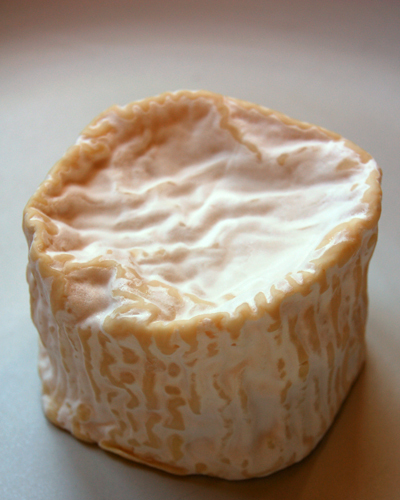 The shape is classical - barrel shaped with a wrinkled rind that you might recall seeing in some of the mature goat cheese I've featured in the past. I have, contrary to my own advice, sliced this before it's achieved room temperature - but you should see the different layers. 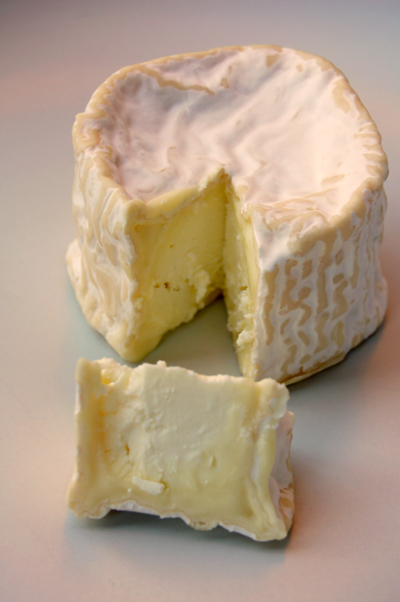 Just under the fairly thin skin is a creamy and as it warms, runny section that surrounds a whiter and more chalky core. To eat, it's soft on the palette, the flavour filling your mouth - there's no bitterness or tartness at all. It's just well balanced and absolutely moorish. At this stage, the rind is perfectly edible (it's slightly moist) though as the cheese matures the rind will become harder. The true testament to the cheese is that on a cheese board with three others, it was the first to disappear. 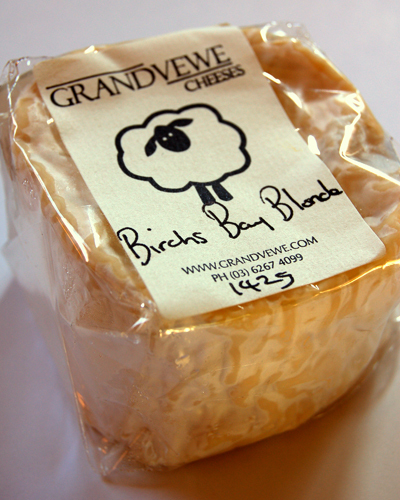 Unlike so many other cheese makers, Grandvewe has set up a really great website where you can find out more about the sheep, their cheese and wine and you can even order it online! I do believe they even ship overseas. For those in Melbourne, I found this at Leo's in Kew.